Utopia: Origin – How To Tame Turtle? The first thing we would like to mention is there are a variety of turtles in Utopia: Origin game; turtle, poor turtle, lava turtle, and more. In today’s post,d we are going to share how to tame turtle(sea turtle, you often see this creature near the lake, pond, river) and poor turtle. For both, there is a different food; For the turtle, it’s turtle feed. And, For the poor turtle, it’s poor turtle feed. Let’s learn how to tame turtle in Utopia: Origin game! These are the 4 items you need to tame a turtle. Wheat Feed – To make this item, you have to gather wheat from wheat plants on the map. Click here to see the picture of the wheat plant. After collecting wheat, go close to the workbench -> tap the hand icon -> make -> on the next screen, go to the items tab, there you can check the list of feed material. Select the wheat feed material and make it. Now you have the wheat feed. Cook – It’s time to cook wheat feed and carp in the cooking pot. You can build a cooking pot with the help of a workbench. Go close to the workbench -> make -> choose the cooking pot in the manufacturing facility -> make. Crafting material for cooking pot; wood, stone, iron bar. You can get iron bar by smelting iron ore in the furnace. Iron ore can be obtained from iron mines. Once done, place the cooking pot in hearth home or anywhere you want. Go close to the cooking pot and select carp, wheat feed and then hit the make button. Once done, get the turtle feed from the output slot. Snare – Snare is the item you need to capture combat pets. Since turtle is a combat pet, you will have to craft it. Crafting menu -> item -> hand -> snare in companion & mounts section -> craft. Crafting material; tendon, and stone. Get stones from stone and iron mine. Get tendon by hunting cows. Now all things are ready. Craft a wood club to hit the turtle until it gets stunned. Once stunned, give it turtle feed until the game prompts you; ready to capture the message. After it, tap the snare to capture it. You must put the turtle feed, snare in the shortcut bar(Bag -> tap the item -> shortcut bar). Tap the menu button near mini-map -> pet -> turtle -> call. The turtle is a combat pet. We have already discussed the snare, wood club in the above taming guide. Catfish – To get the poor turtle feed, you need catfish and salmon. Catfish can be obtained by fishing. Read the fishing guide here. We got this fish in Springday Coast. Salmon – Salmon is another item we need to cook poor turtle feed. You can get this fish by fishing. 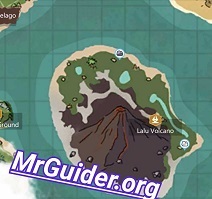 We got salmon in Lalu volcano location. That location is pretty hot and you must go with some drinks or good food; orange, watermelon, milk, or more. Cook – Once you have catfish and salmon in the bag, it’s time to cook. Go close to the cooking pot -> cook -> select catfish, salmon -> get the poor turtle feed. Use the wood club to stun poor turtle. Once anesthetized, feed it poor turtle feed. Capture it using a snare. can a turttle be a hearth pet?